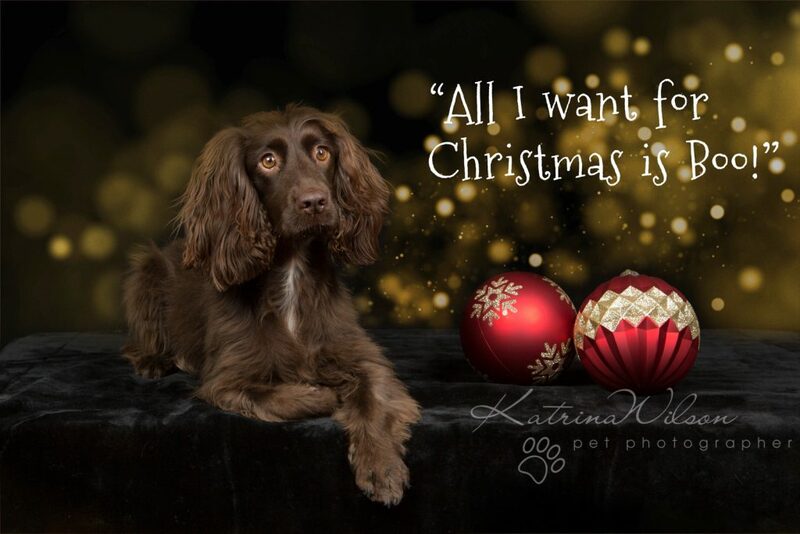 My Top 10 favourite images from this years Christmas Sessions…. 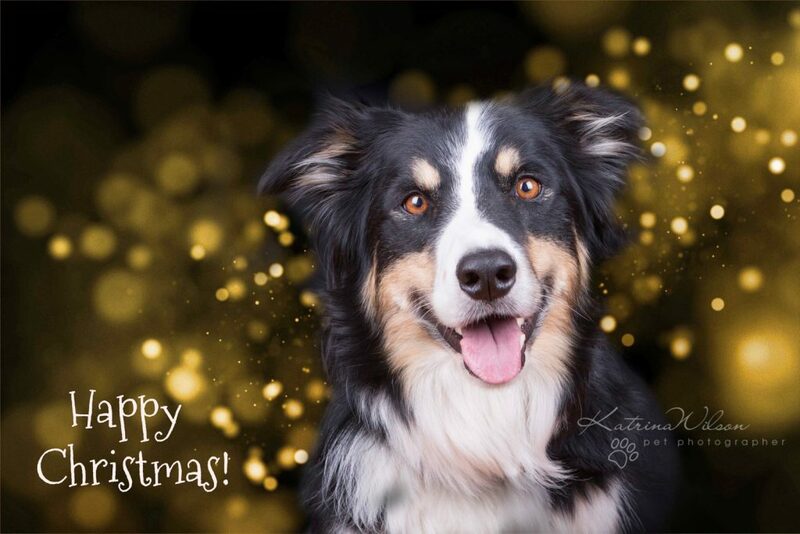 So far this year a massive 55 dogs have turned up for our Christmas Mini Sessions – and Oh what fun we’ve had! It’s so hard to narrow it down to just 10 favourites…..but in no particular order, I’m sharing a few of my most well behaved models with you …. 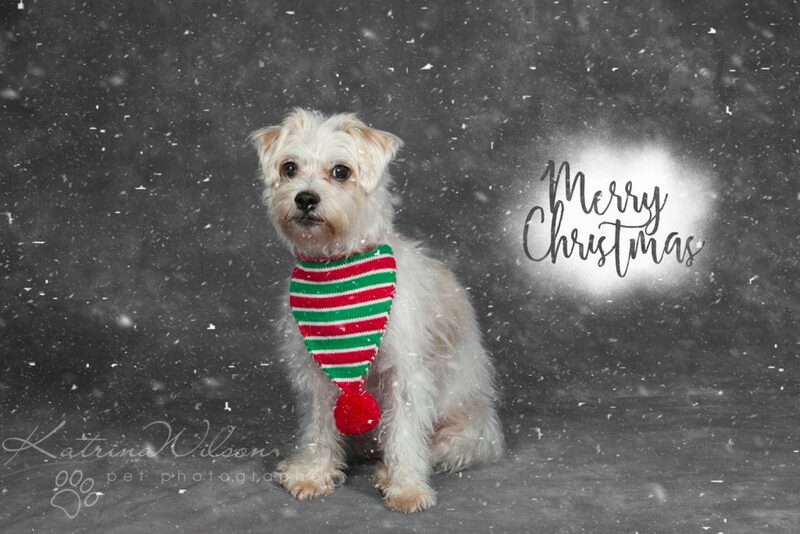 Santa Paws AKA Alfie…this boy was sooo good he features twice! 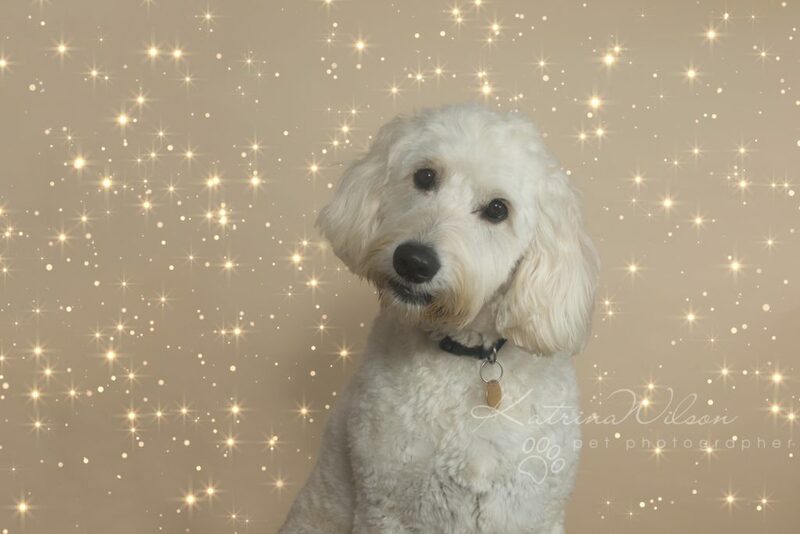 Milo – who can resist this adorable head tilt? 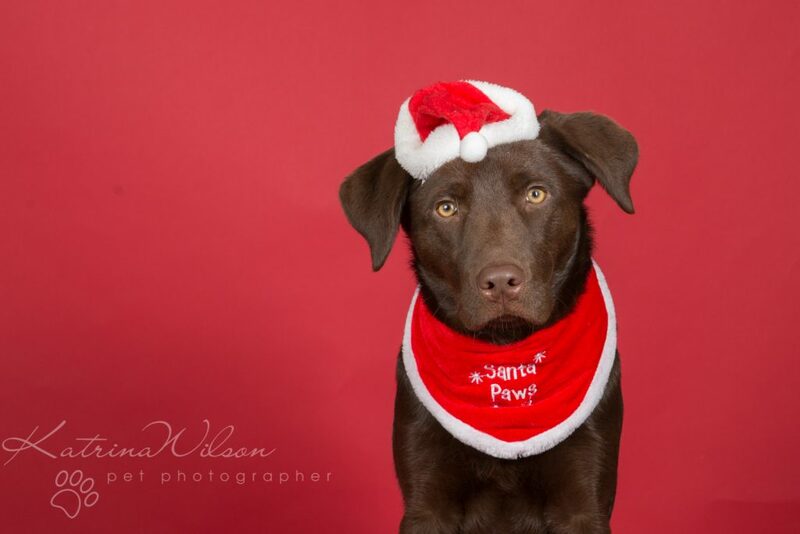 Alfie’s 2nd appearance in my Top 10 – who doesn’t love a chocolate lab? Jenson …a giant hunk of love right there! 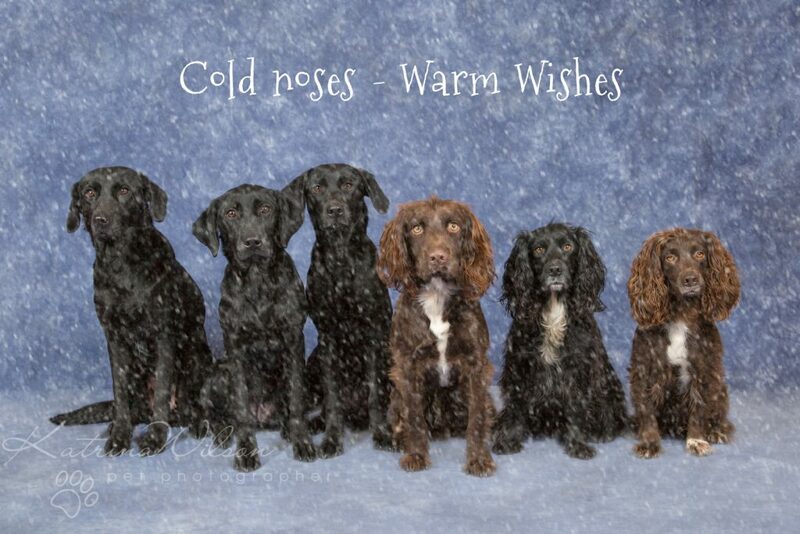 Banshee, Sway, Rogue, Duncan, Bella and Donut – possibly the best trained dogs in Bedfordshire? 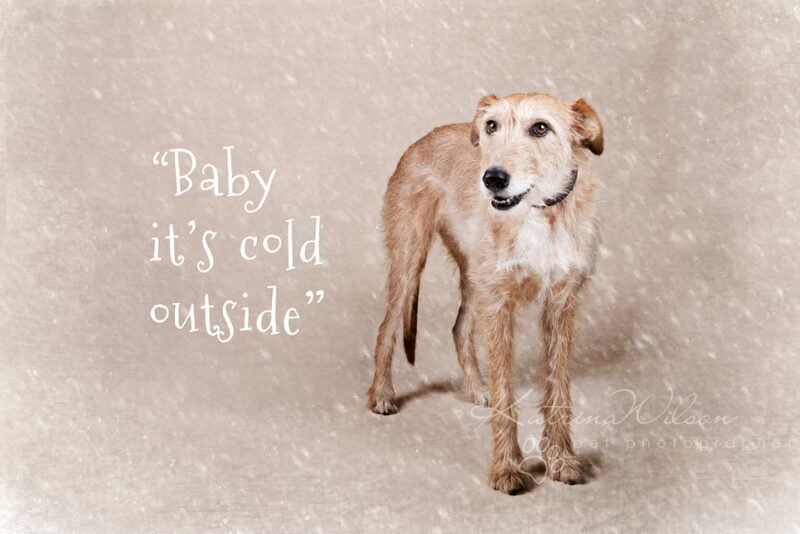 Sammy – last but not least….our very own rescue dog! If you haven’t managed to book in for a session with me this year, here are a few tips to get the best out of your own photos at home. Firstly, try to avoid distracting backgrounds or too much clutter around your dog. Your dog is THE most important thing in your photo – so make sure all the focus is on them! 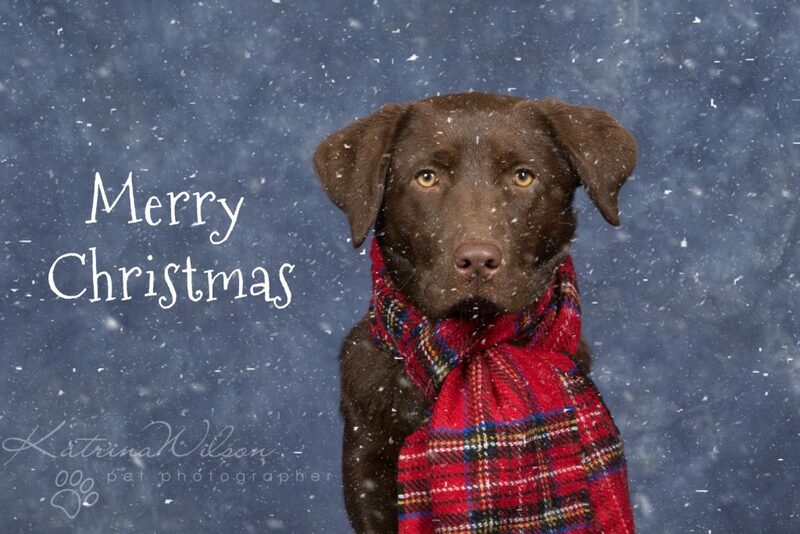 Secondly, do your best to get your dog looking straight at the camera. Not always the easiest thing to do – but using their favourite treats can really help to get their attention! Finally, and perhaps the most important thing – consider the light. 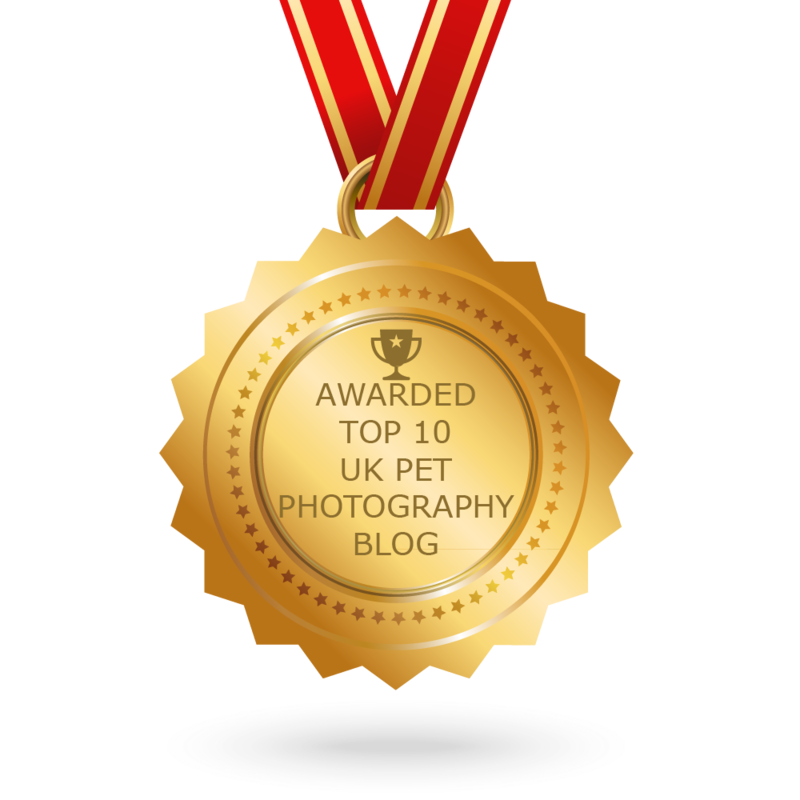 If you’re photographing your dog inside – make the best use of the light you have available, if possible use light from a nearby window. 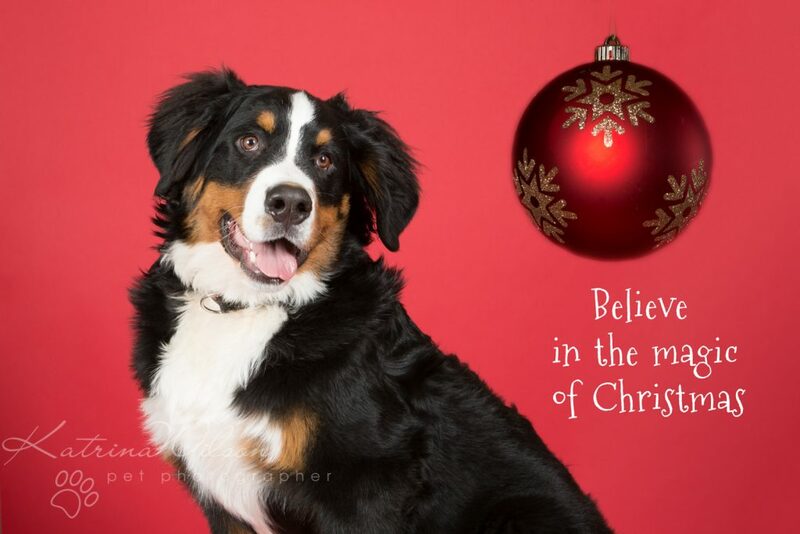 Once you’ve got your festive photo of your best friend, what to do with it? These days there are endless ways of using your photos – whether it is sharing on social media, or printing on a variety of products such as cushion covers, t-shirts, keyrings, mugs or mobile phone cases. 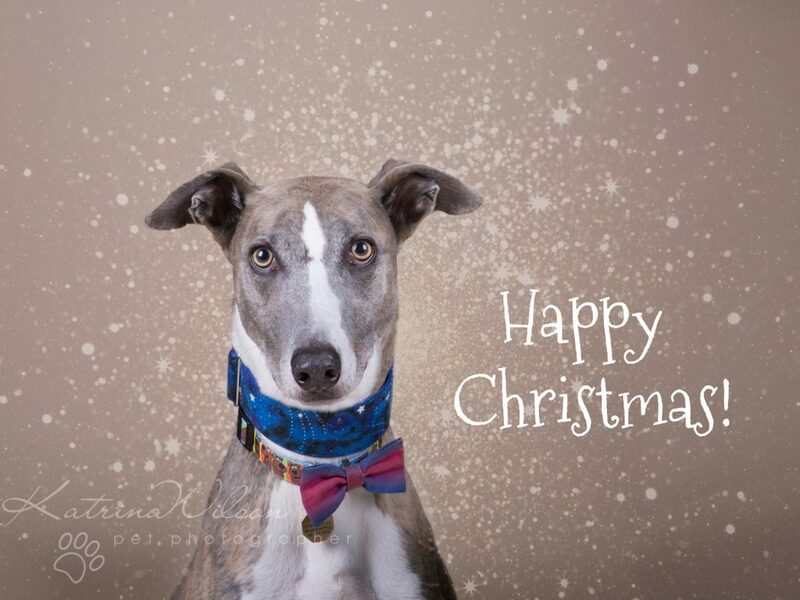 Why not make your own personalised Christmas Cards featuring your four-legged friend?